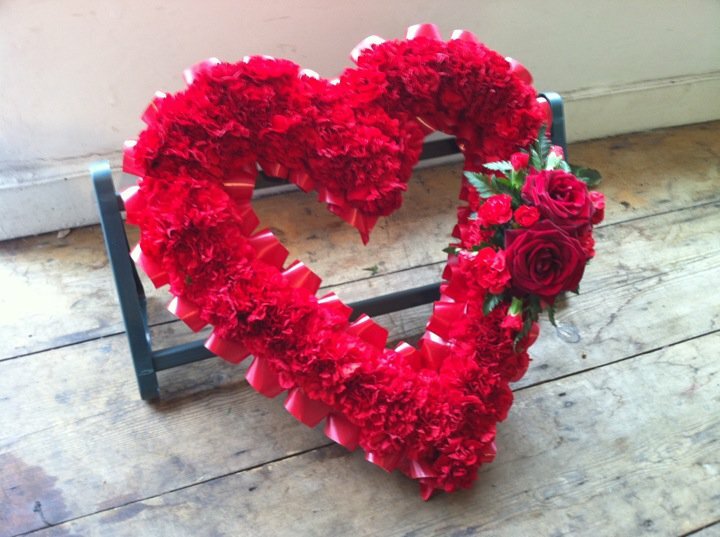 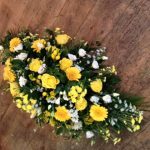 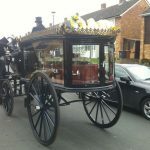 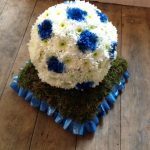 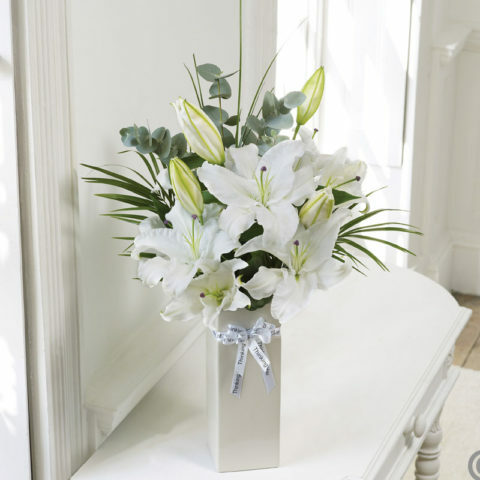 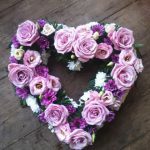 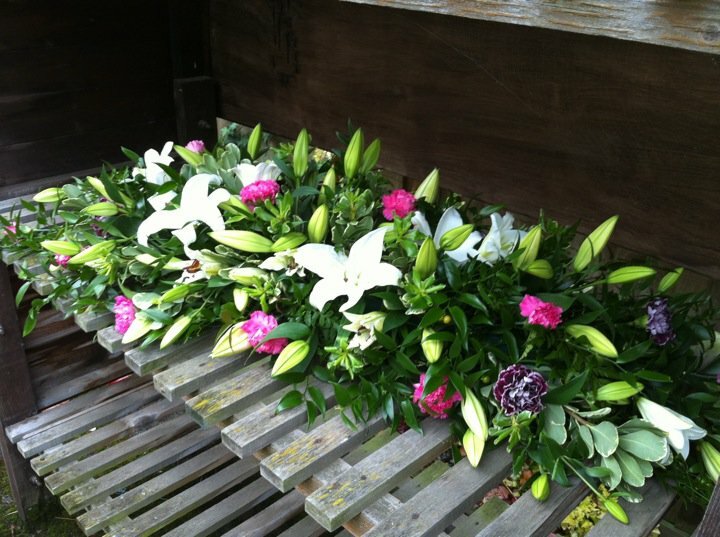 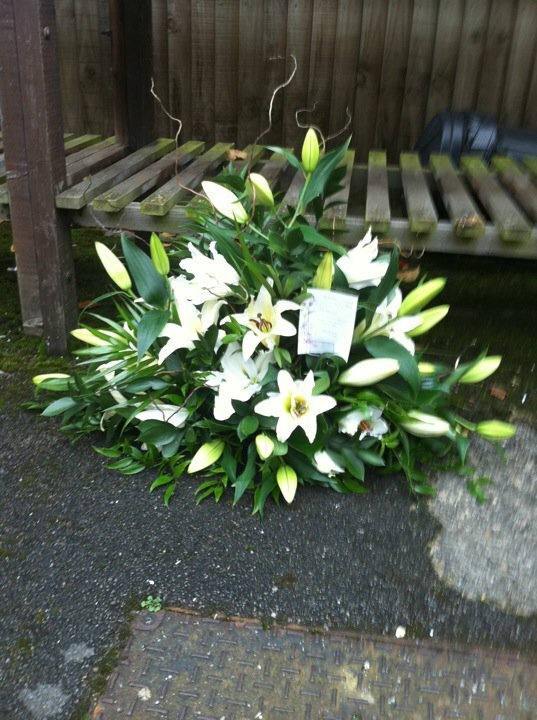 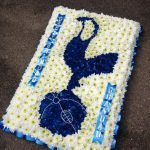 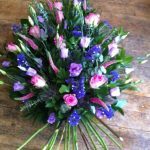 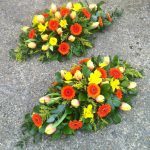 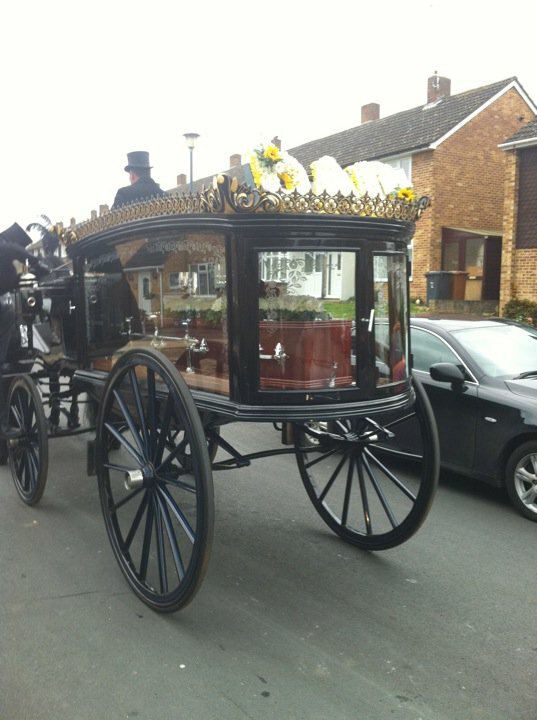 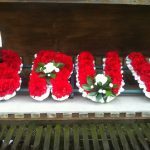 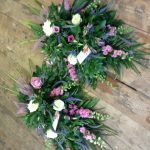 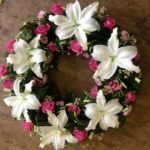 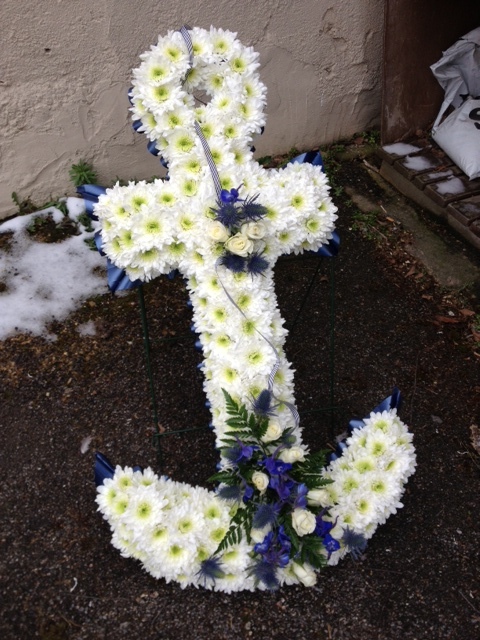 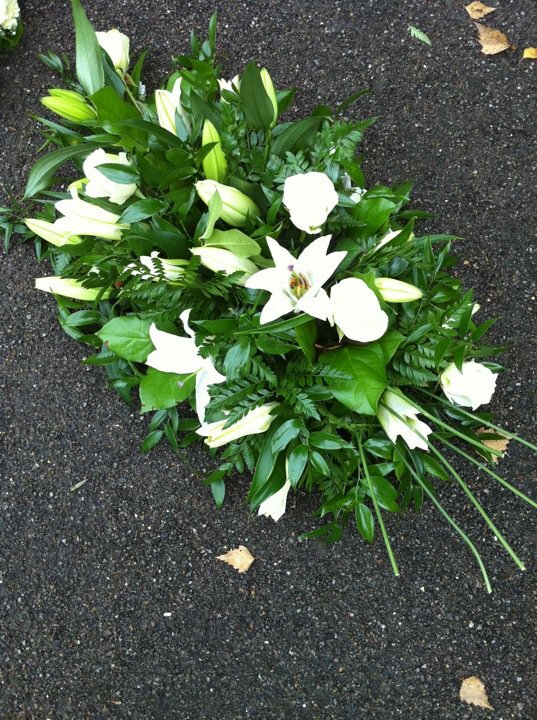 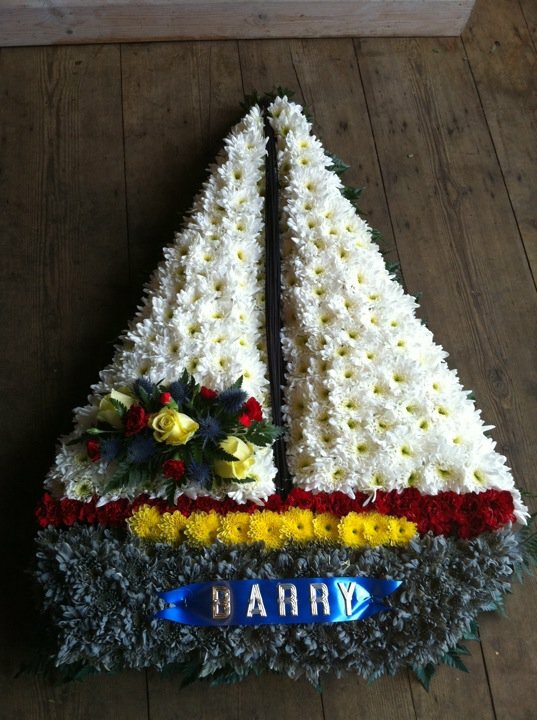 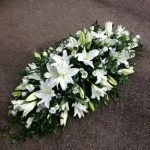 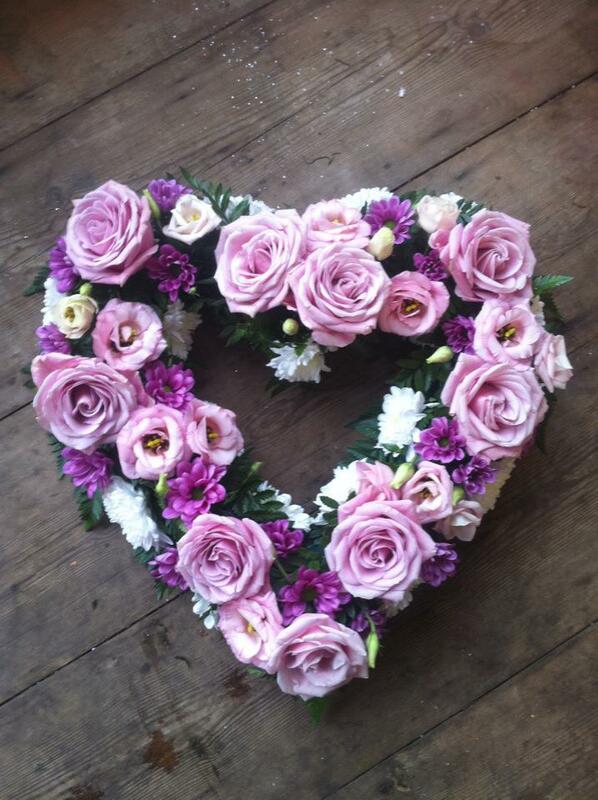 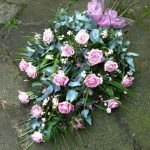 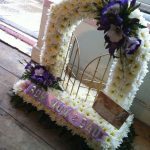 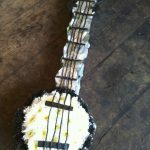 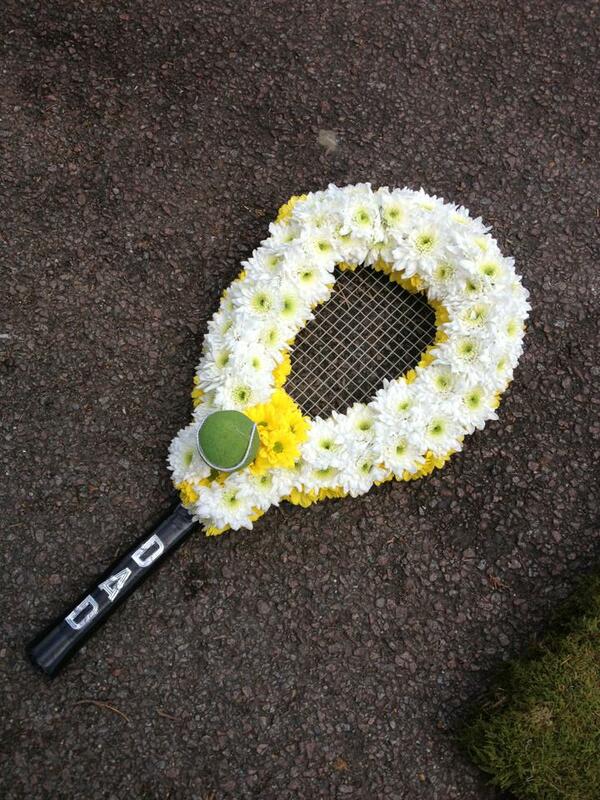 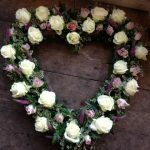 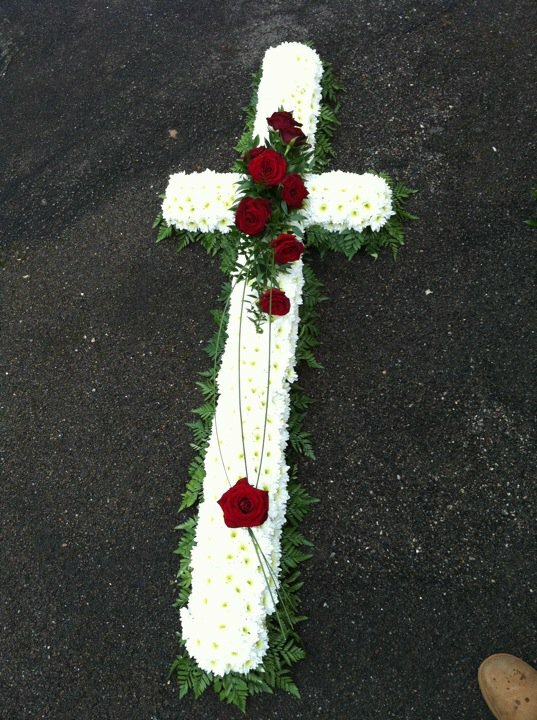 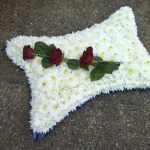 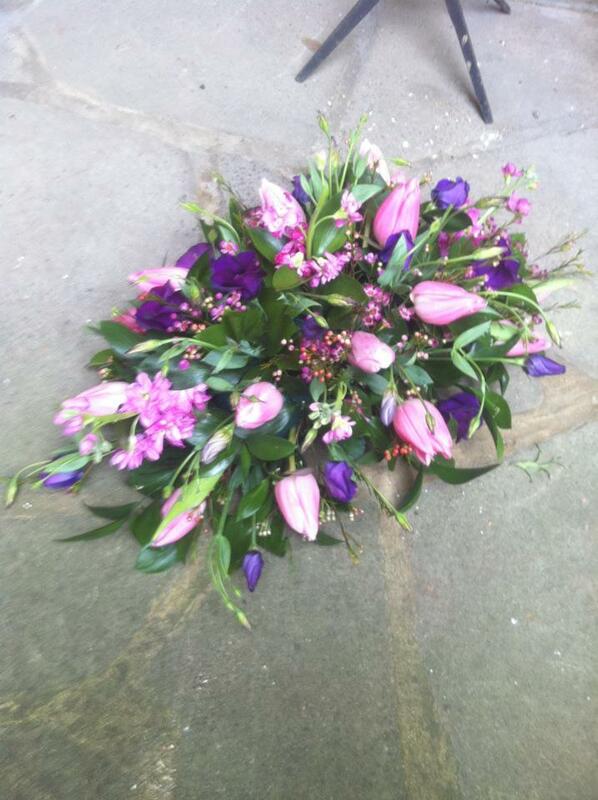 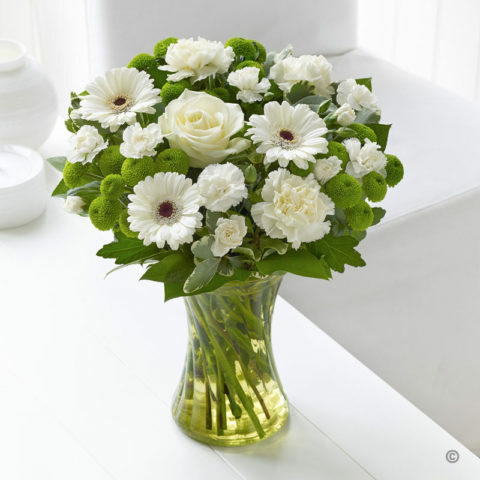 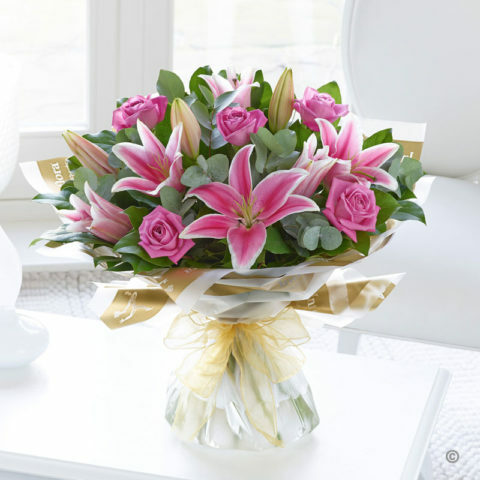 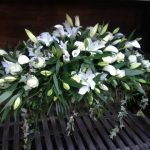 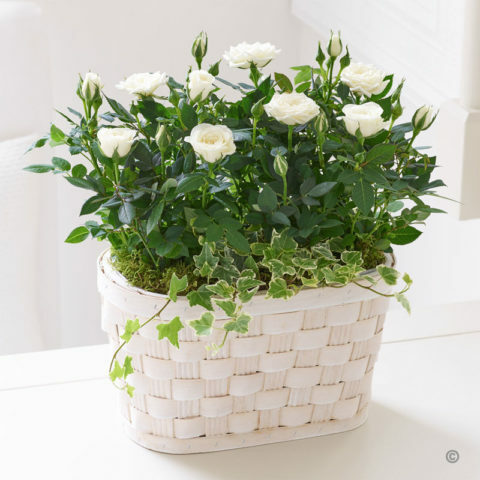 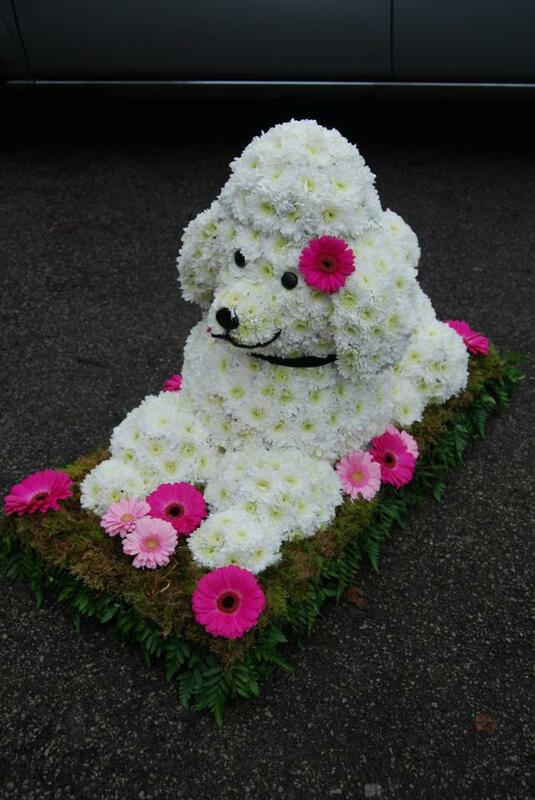 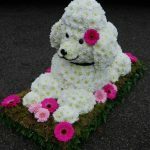 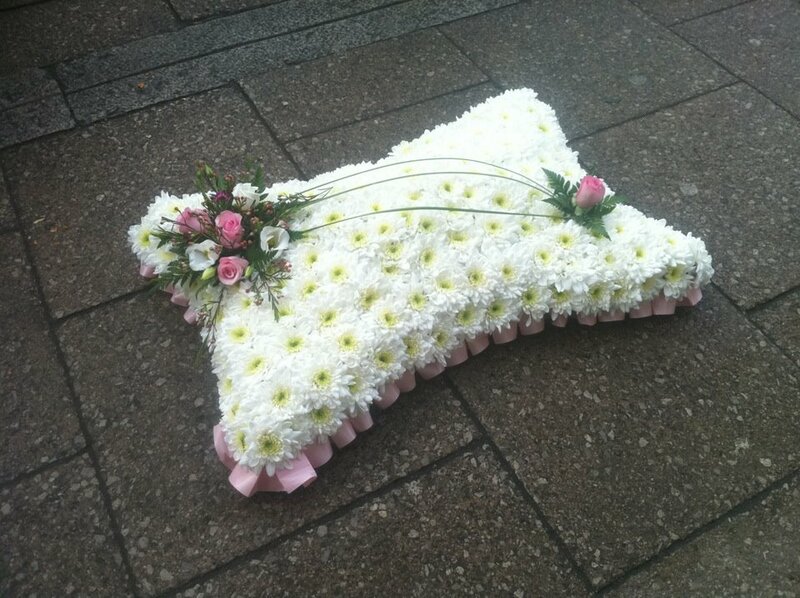 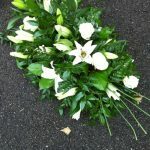 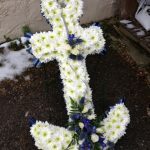 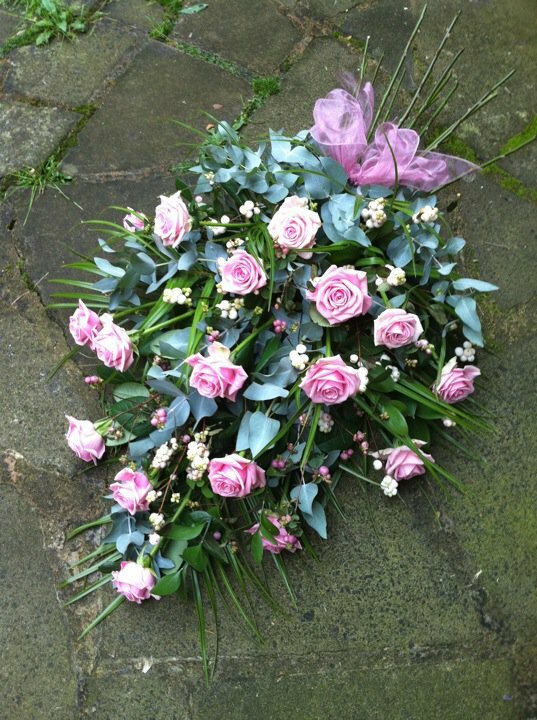 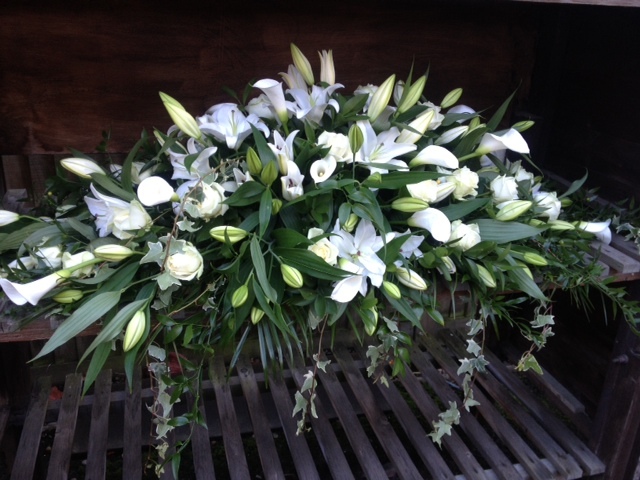 As sympathy and funeral specialists, we are experienced in creating beautiful floral arrangements, perfect to send to a lost loved one or their family. 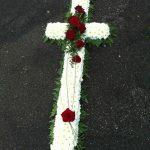 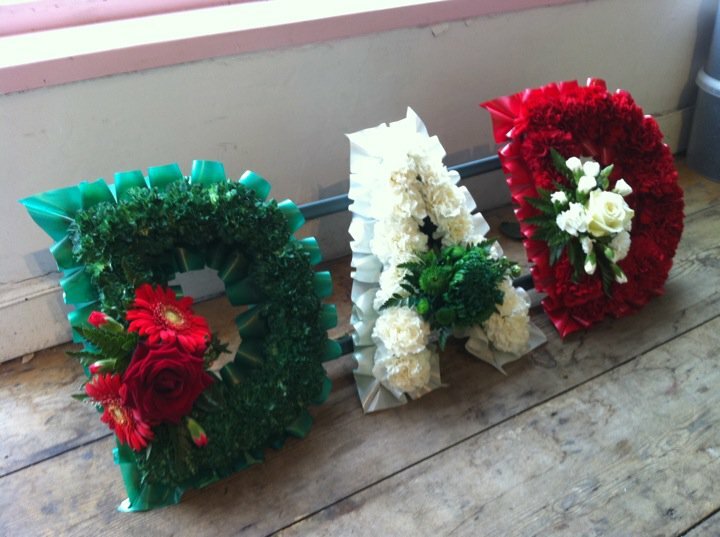 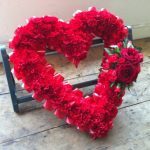 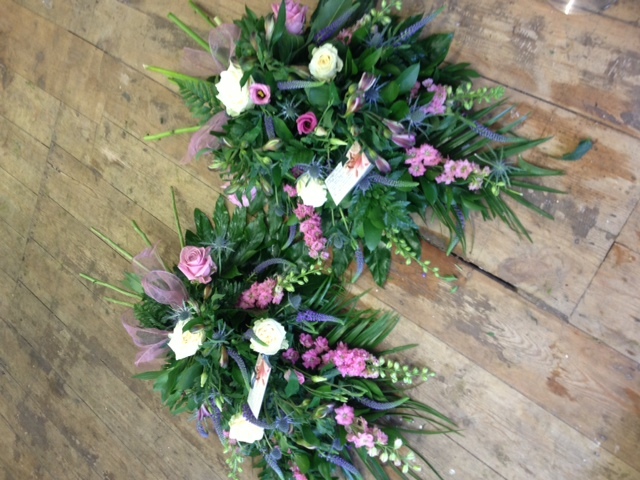 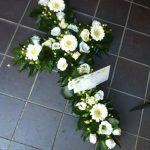 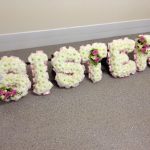 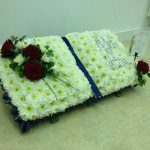 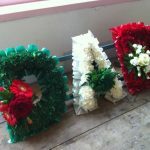 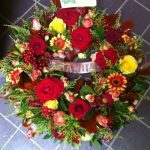 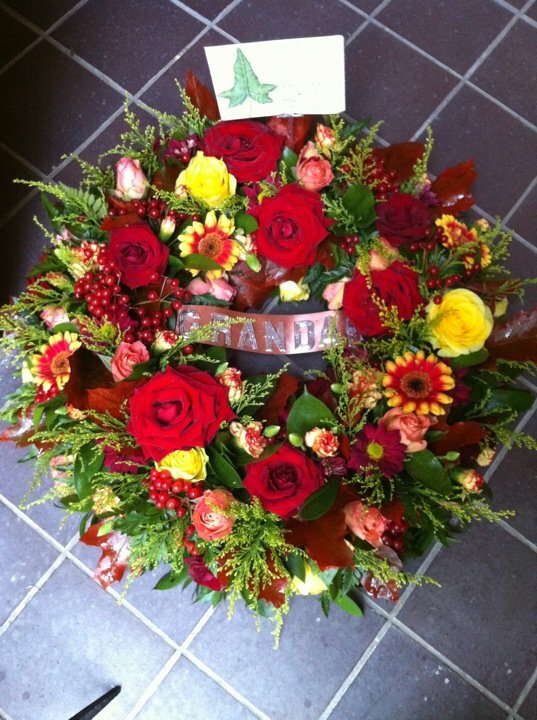 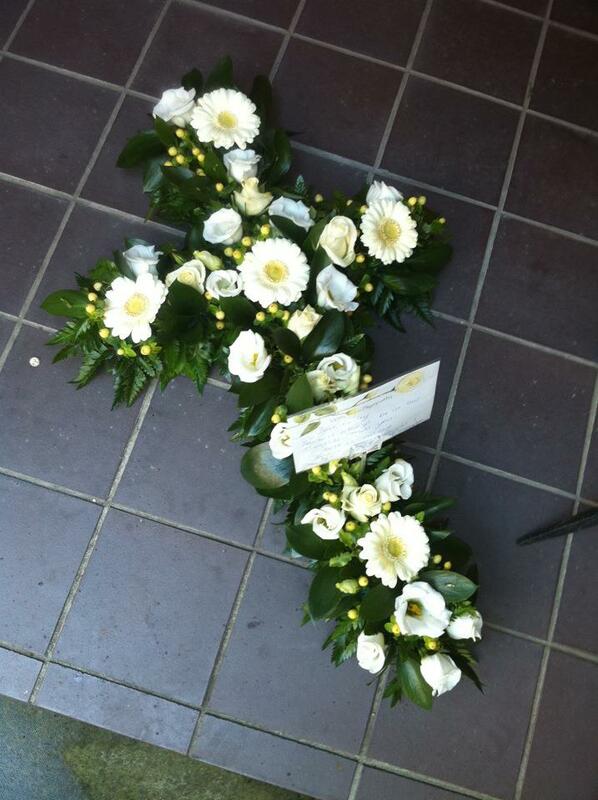 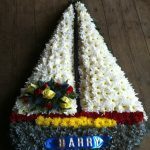 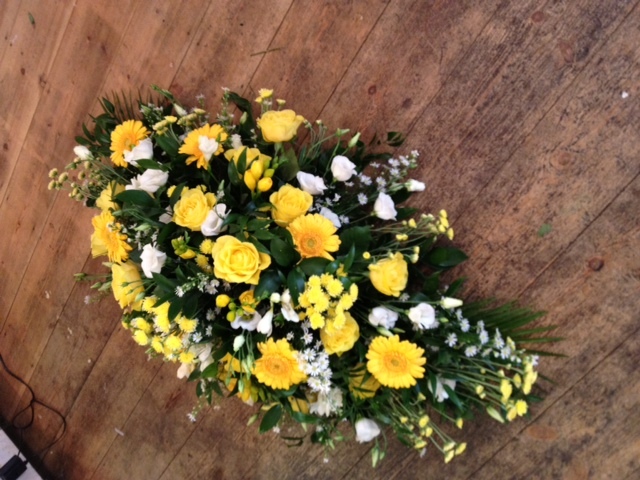 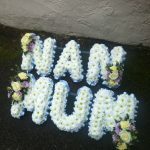 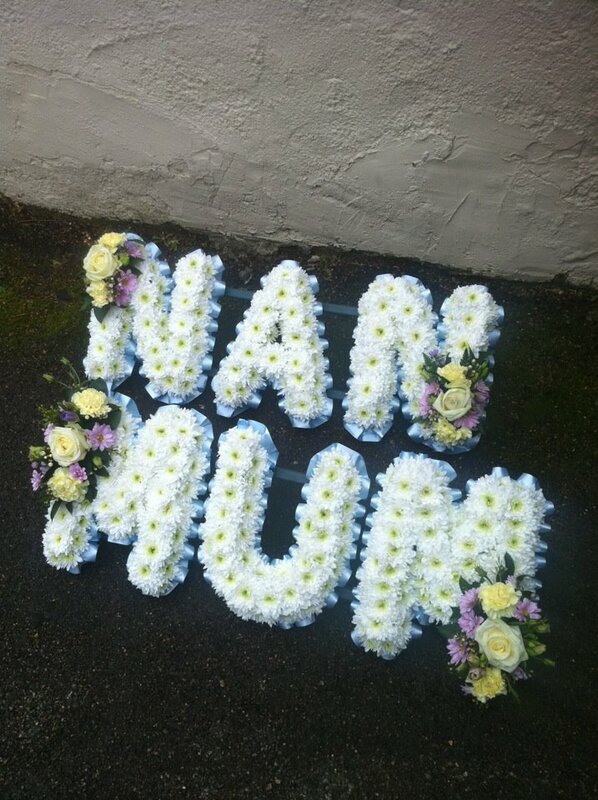 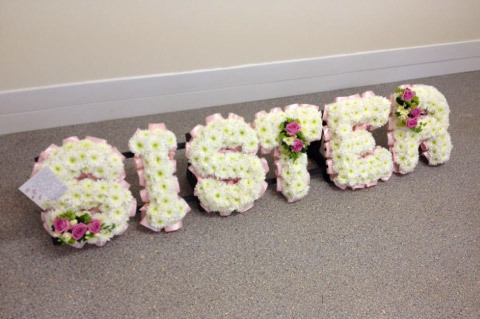 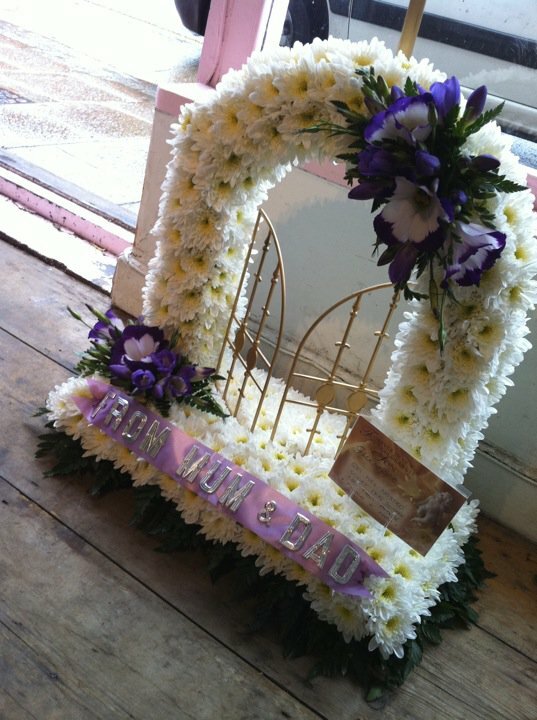 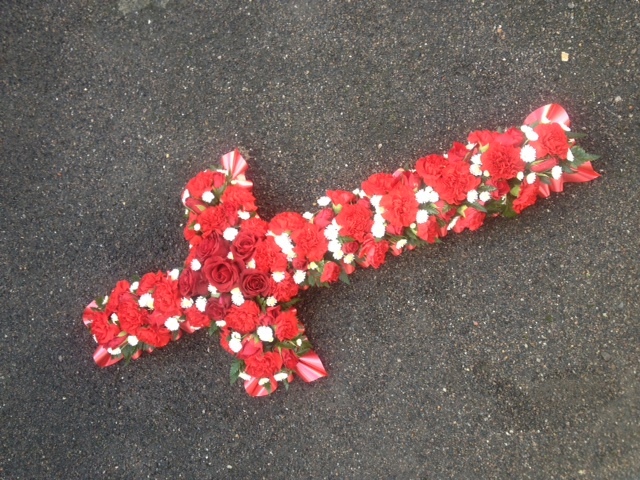 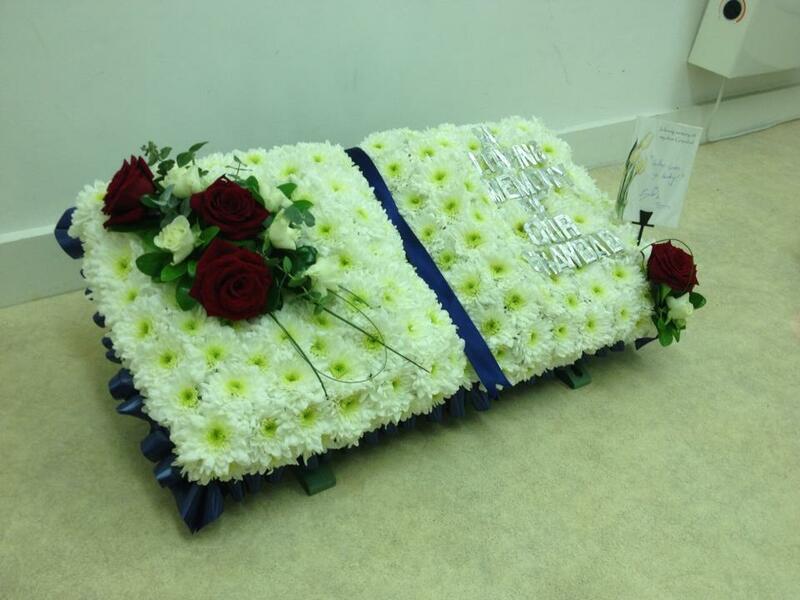 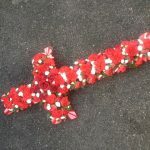 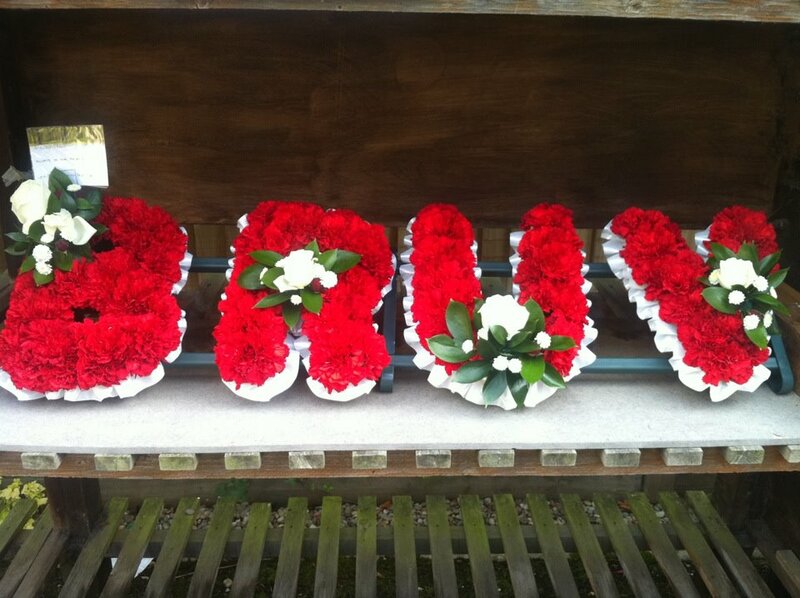 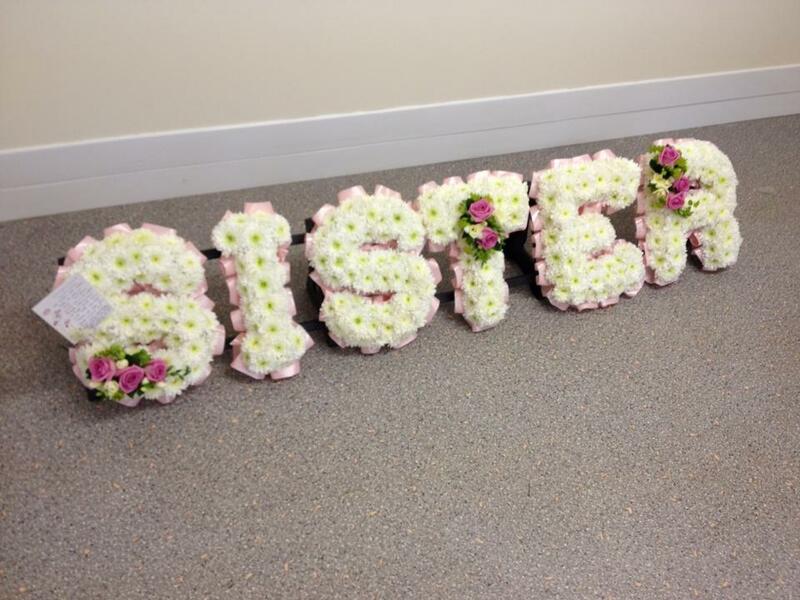 Double Ended Oasis sprays, wreaths, posies, letter and unique tributes are all put together with precision and skill, using fresh flowers, and finished with hand written cards before being delivered to the undertakers or family home. 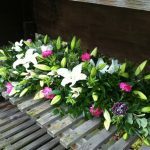 Please call to discuss your own requirements, and feel free to browse our range below. 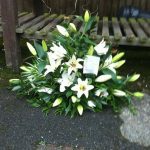 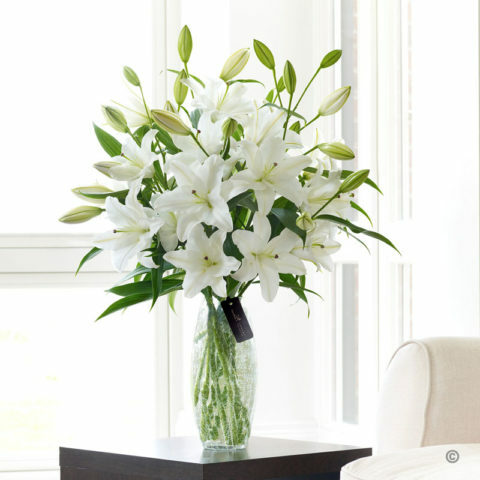 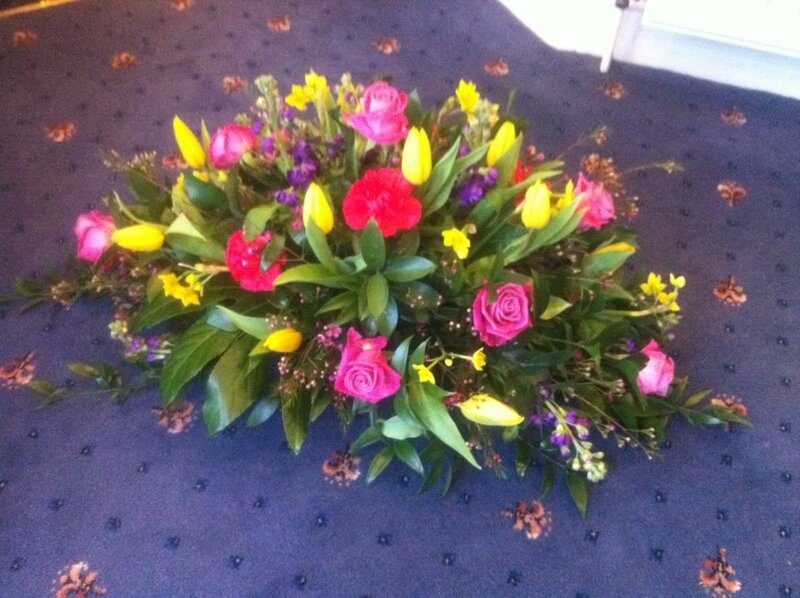 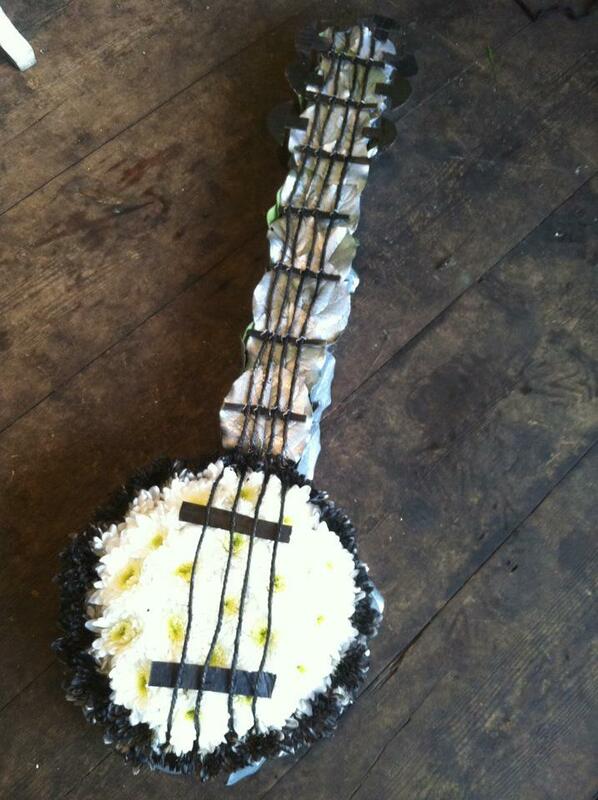 We are able to deliver most of these arrangements nationally, and in some cases, internationally. 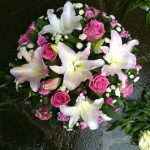 Please call for further advice. 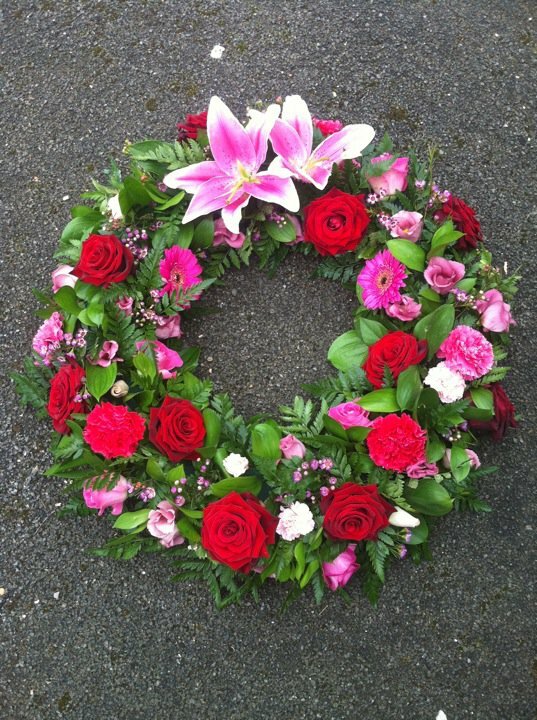 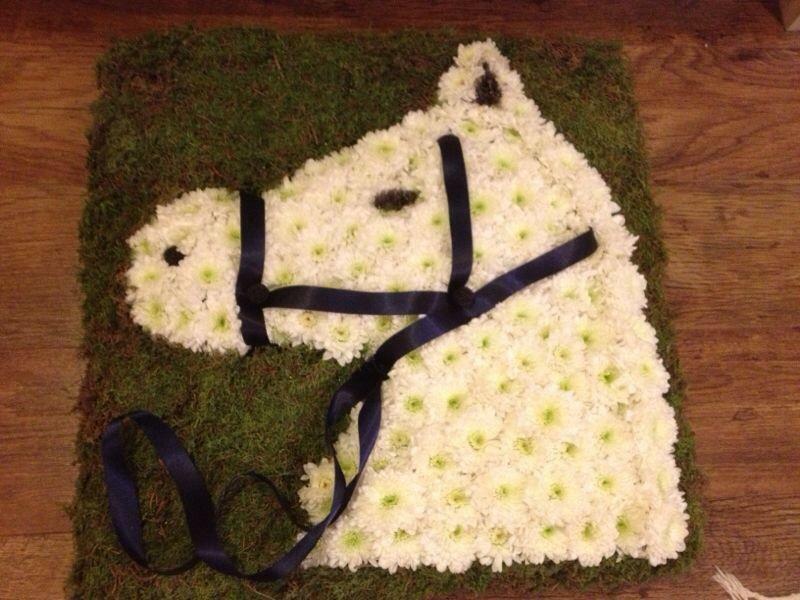 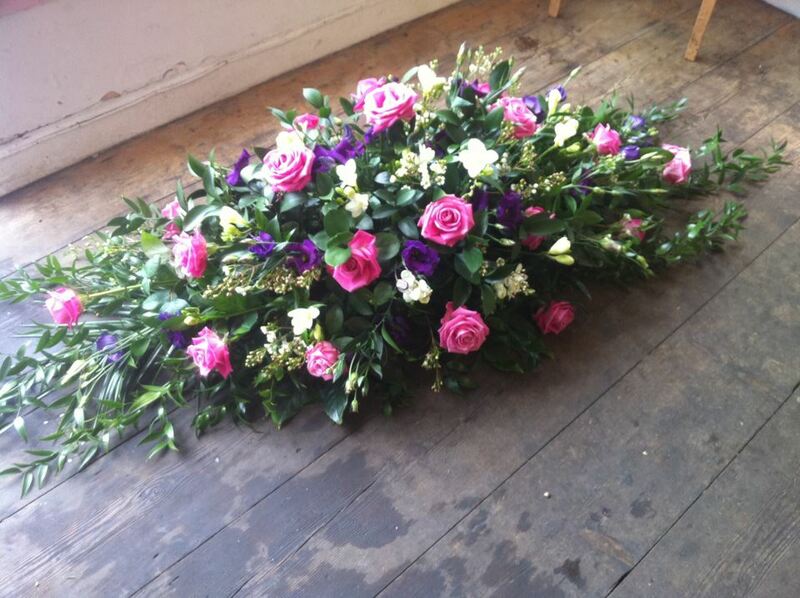 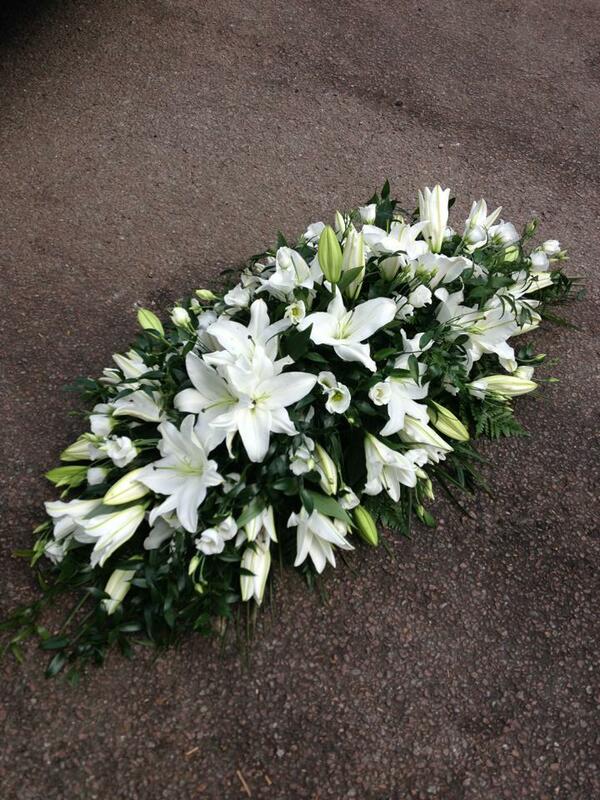 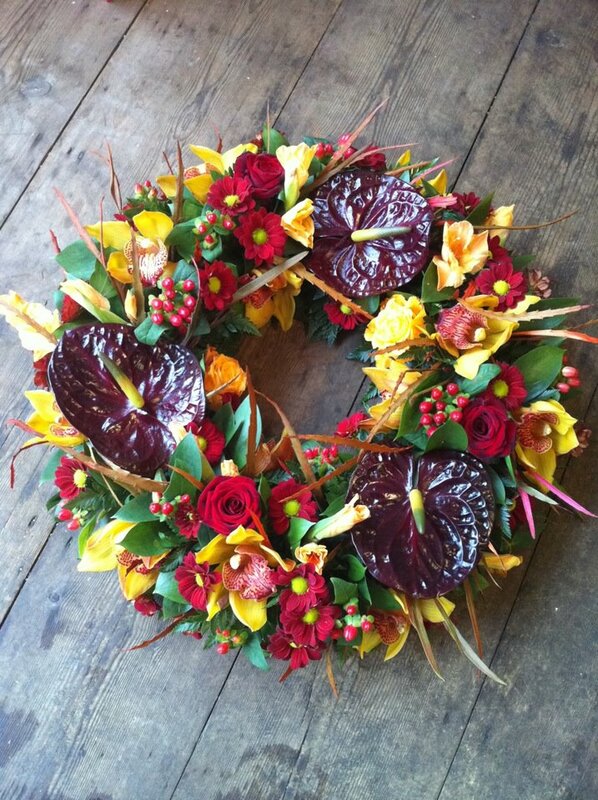 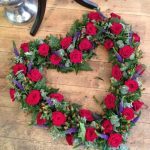 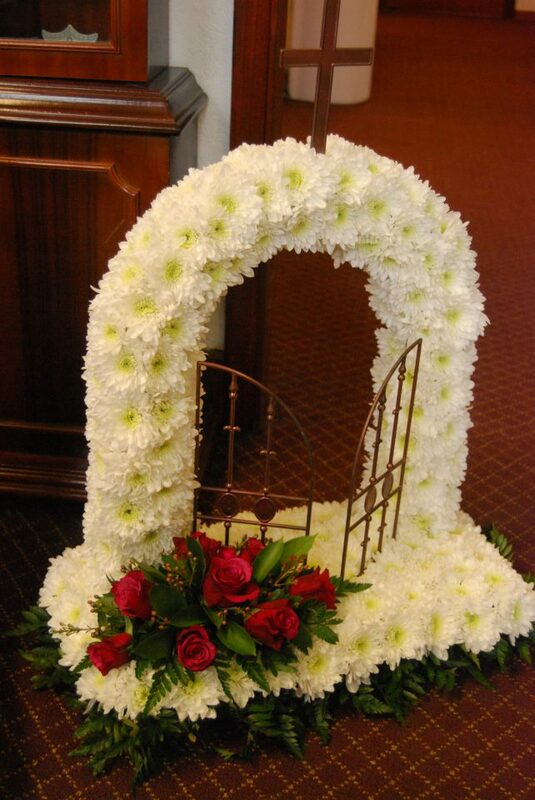 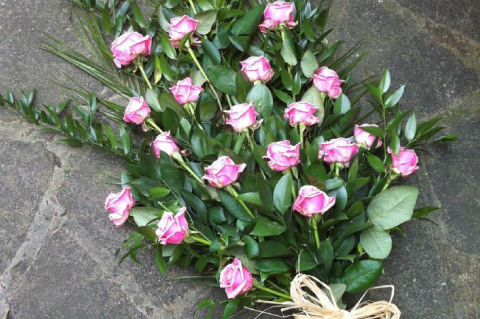 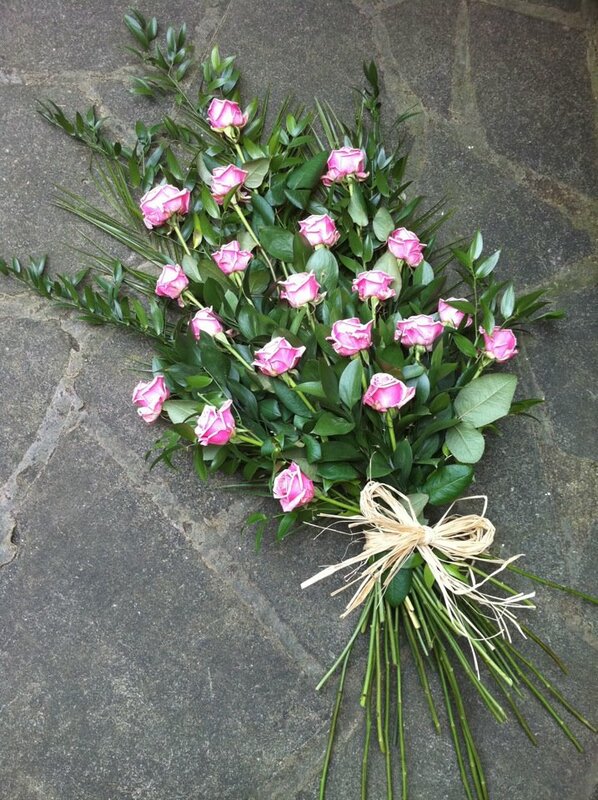 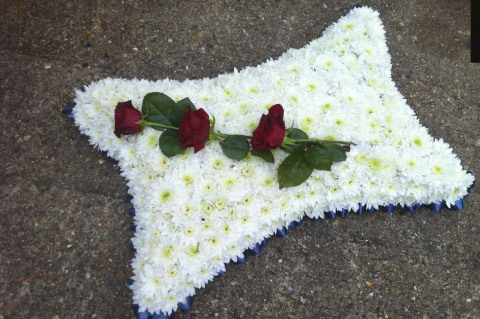 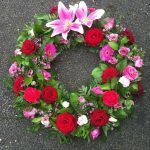 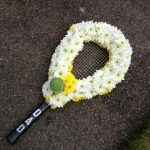 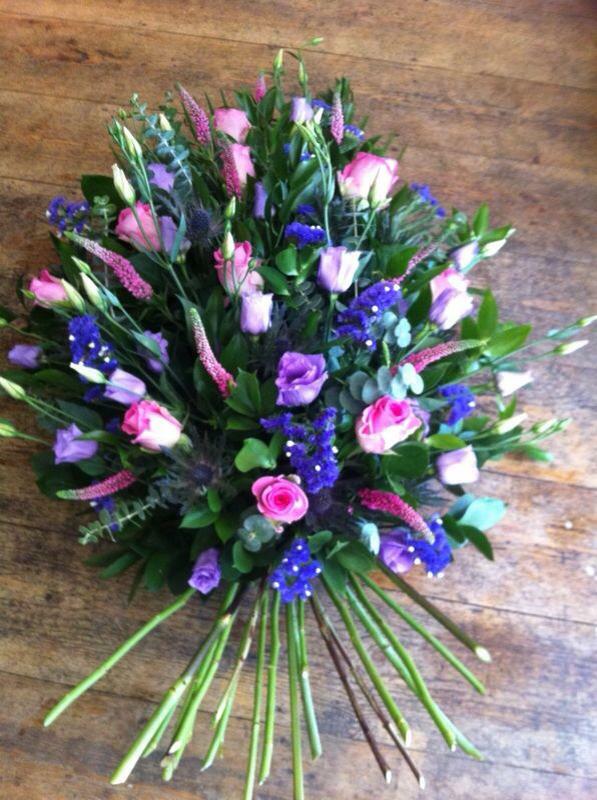 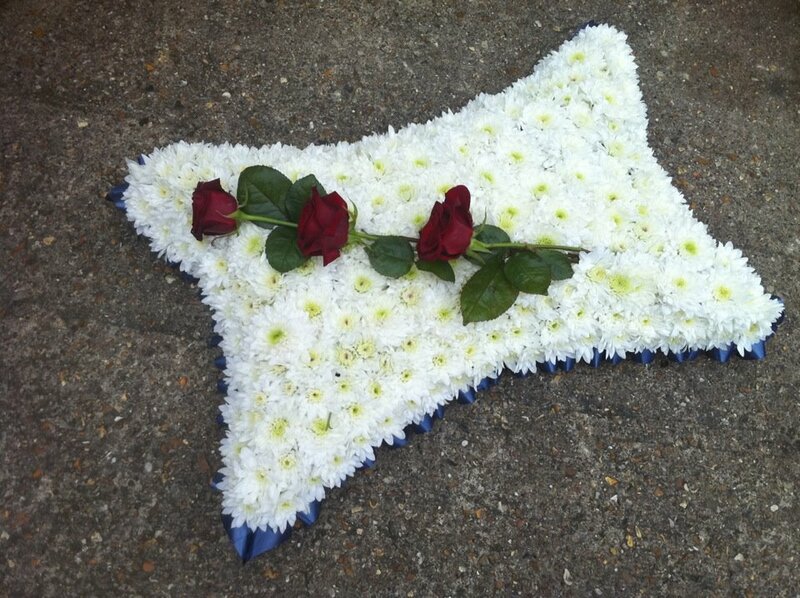 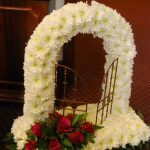 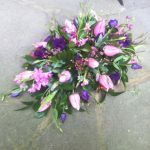 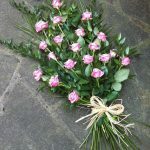 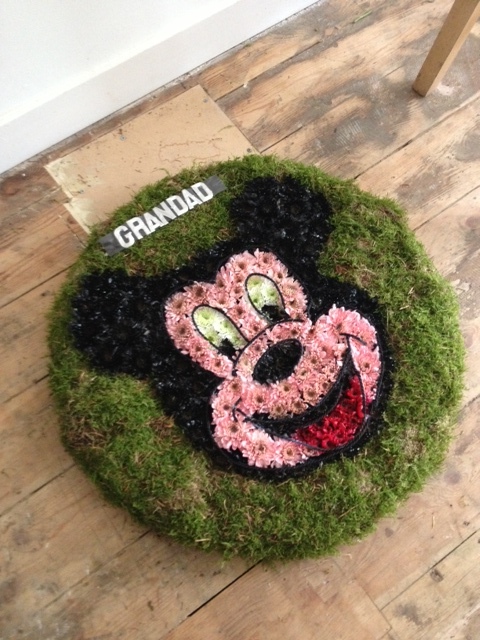 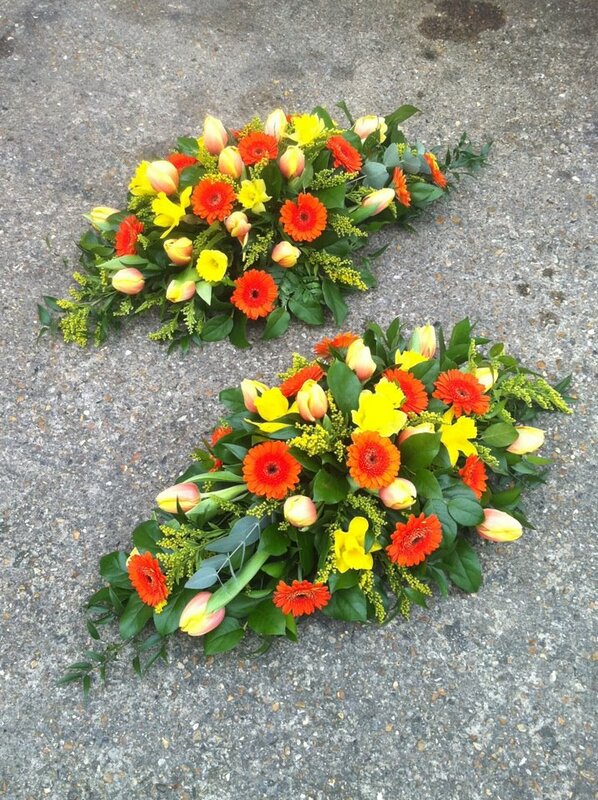 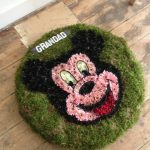 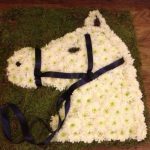 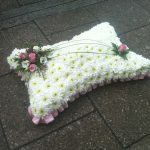 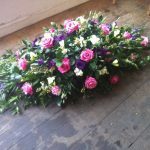 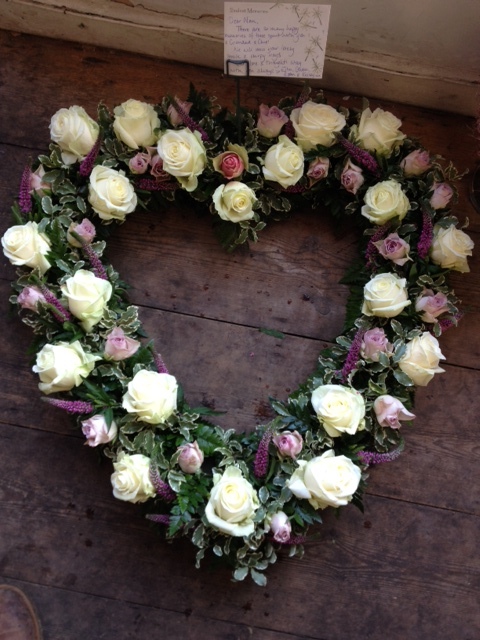 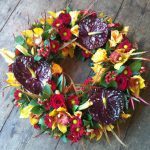 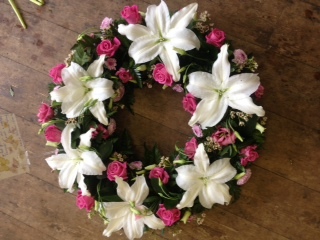 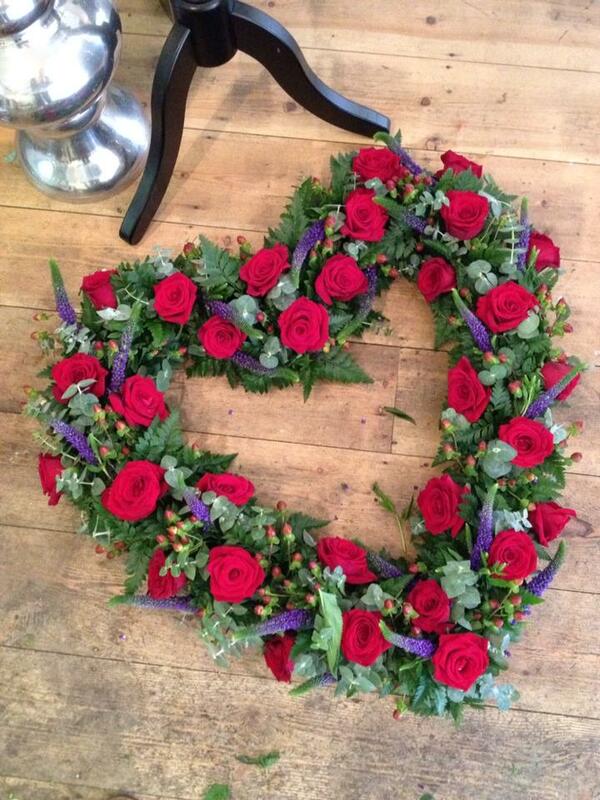 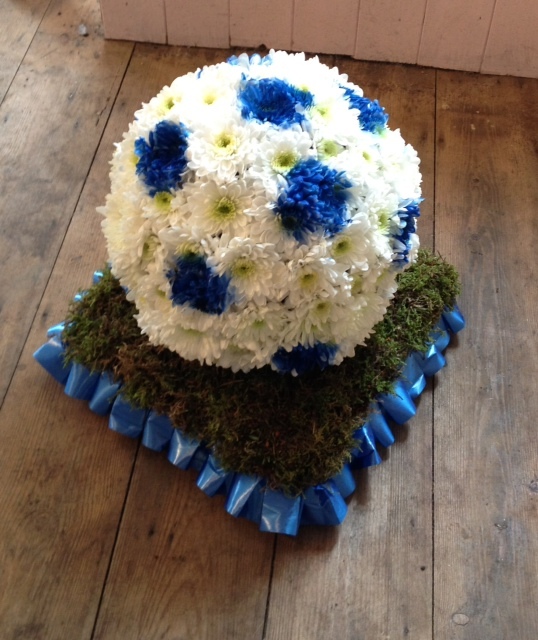 Circular posy pads start at £25 for 10" upwards to £100 for 22" Double ended Oasis sprays start at £40 for approximately 2ft long, upwards to full casket sprays from £150-£300 Wreaths start at £35 for 12" and go up to £100 for 22". 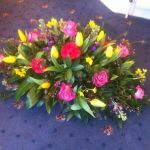 Prices may vary depending on flowers required and their seasonality. 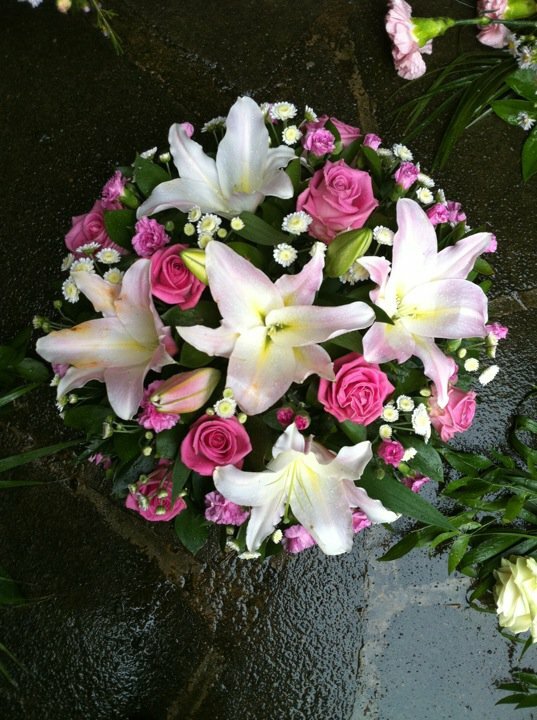 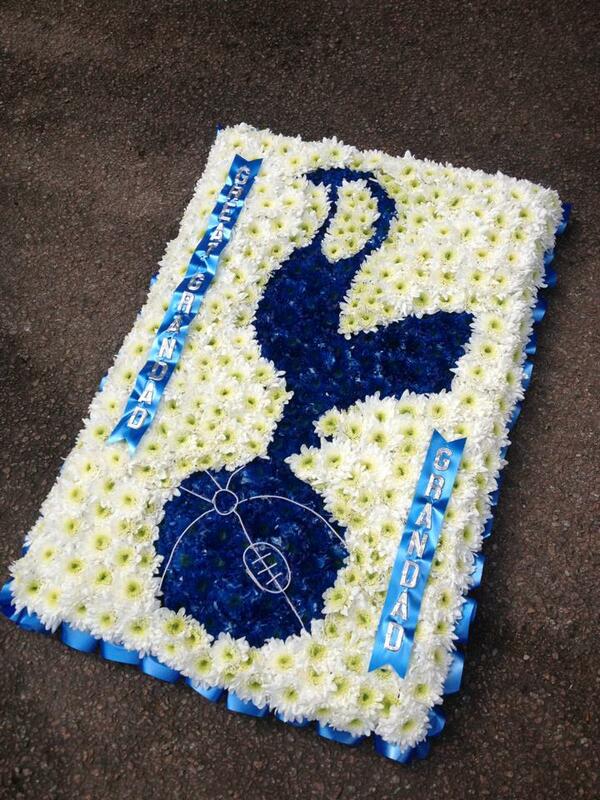 For all specialist tributes please call for a quote.